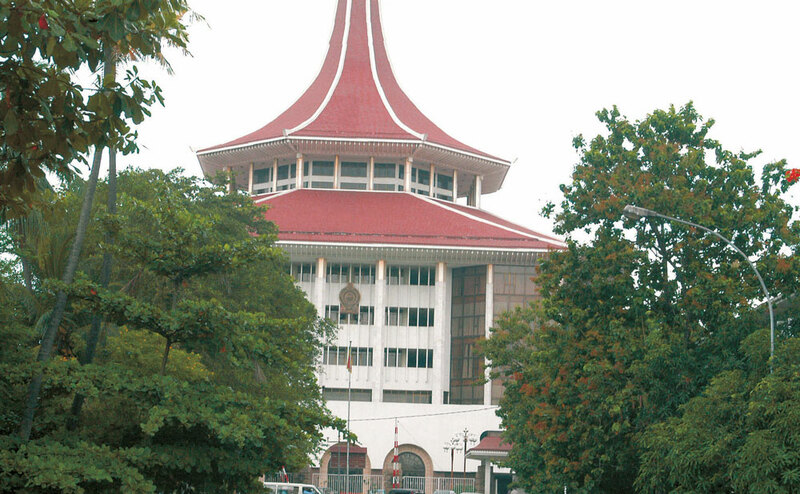 It took seven noble justices to save Sri Lanka and its 21 million citizens from the abyss. The hallowed bench that ruled unanimously on the unconstitutional dissolution of parliament by none other than the president deserves every accolade that comes its way, for it has restored a modicum of faith in a land that was crumbling at the seams following a series of events that can only be described as insane – and even bordering on being senile. Given that we’re now into an election year – whether it be a presidential poll (it’s about time, we’re inclined to say!) or a general election (should parliament so decide) – the prospect of more false promises (in the ‘interest of the nation,’ of course! ), horse trading (for ministers! ), wrangling over cabinet appointments (rotten eggs lobbying for a place in the basket of high-ups so to speak) and all else that goes with the lie of the political land lingers. Meanwhile, whether the people will continue to agitate for there to be a level playing field, and justice and fair play, is a million dollar question – after all, the men and women who took to the streets of the commercial capital and elsewhere in large numbers between 26 October and 13 December did make a difference, and there were thousands of apolitical types who said they were there not in support of one party or person but rather, in the name of justice. Social media (and the rumour mill, let it be said) was abuzz too as one would expect in this day and age although the proliferation of fake news surely put a dampener on proceedings. All things considered however, when lawmakers make a habit of breaking the law themselves and behave like hooligans, it is through social media that their actions are first cast to the public – at times, for fun value! There’s no question that the nation needs a fresh start… starting with who assumes the presidency to whether a new brand of politicians will step in to clean a house that’s been literally vandalised by miscreants who seem to think they’re above the law. And since virtually none of the high-ups who have been accused of large-scale corruption have yet to be punished and banned from running for high office, it may be time for those who are incapable of fulfilling a promise to apprehend the criminals to call it a day. It is very apparent that the younger generation will not turn a blind eye like their forbearers have done for donkey’s years. Armed with the power of social media, and a penchant for seeking justice and fair play, our hopes may now have to be pinned on them. Which makes sense because this is the land they’re inheriting – sadly, from a citizenry that has continued to vote for low calibre, inept and corrupt politicians. As for the three men who presently hold the keys to political power in this country, one says he is “currently writing a book and will bare all,” the other believes that “the whole country is enjoying the harvest of the seeds we sowed during the past three and a half years,” and the third wants more time to study the “long and complicated” judgement of the highest court in the land. The circus moves on; it’s time for a curtain call. 75% of Sri Lankan politicians entering politics are uneducated and unemployed citizens looking for a lucrative job with benefits, and are included with just 5 years short of lifetime service pension. They do not know the basics or ethics of the great service of a politician. However, party leaders need these street pickups to hold on to their power and reach the uneducated citizens of the underdeveloped areas of the country which are highly populated but lack facilities. This is where the less educated or uneducated citizens can survive because they have no hopes or higher expectations other than just living, while the educated and able citizens leave to greener pastures in search of a better life for their families. These are the targets of the corrupt, uneducated political ‘thugs’ to hold power from one generation to the next .This is the atmosphere of Sri Lankan politics today where the president or prime minister have to offer senior cabinet positions to those ‘idiots’ just so they can raise their hands in parliament and do what the ‘top man’ suggests without really knowing right from wrong. This was very evident in the recent parliamentary battle where the world watched the legally elected prime minister and his group of ministers battling with the illegally nominated prime minister and his group of ministers in the same Parliament in a manner that resembled a montessori class. It is not a secret that this battle was created either by the ignorance of the president or perversely, to take revenge on the prime minister – which was against the country’s constitution. Seven supreme court judges had to decide. The question is who’s going to recover the loss that both groups have made to the nation and who’s coming to invest in a country that lacks political solidarity. All this because of uneducated citizens voting for unsuitable fellows to take over the country’s driving seat. This type of administration never makes good decisions for the wellbeing of the nation as it is like the blind leading the blind. The best idea is to cancel the presidency and introduce a senate of proved professionals – with merits, prudence, good character, professionalism and patriotism – in between the cabinet and the prime minister, to reconsider the suggestions and cabinet approvals before they become legal and to finally review the feasibility of those cabinet approvals . If this was done already there would be no white elephants similar to the Mattala Airport and Hambantota Harbor, no fat foreign bank accounts of politicians’ families and no unbearable high interest foreign loans. None of this can be worked out for one man who considers Sri Lanka his property and citizens his slaves. What has 6 eyes but cannot see ? Three Blind Mice. Took me a while… but got it! Brilliant!